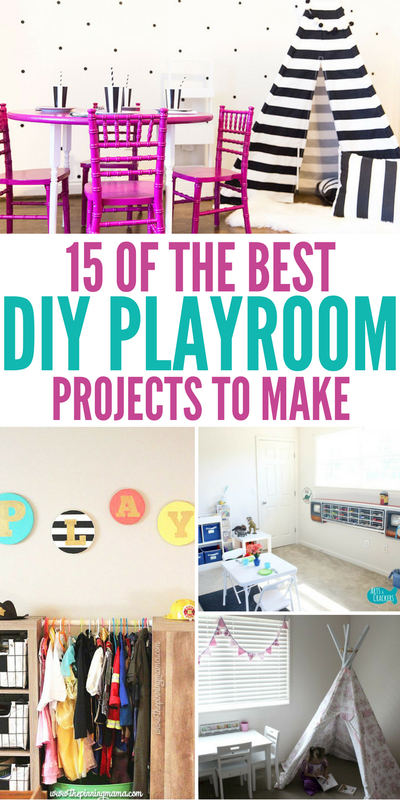 Get inspired by these epic playroom DIY projects that can transform your space. With elements to hang on the wall for a pop of color, to ways to find creative ways for storage that still offer an element of design. 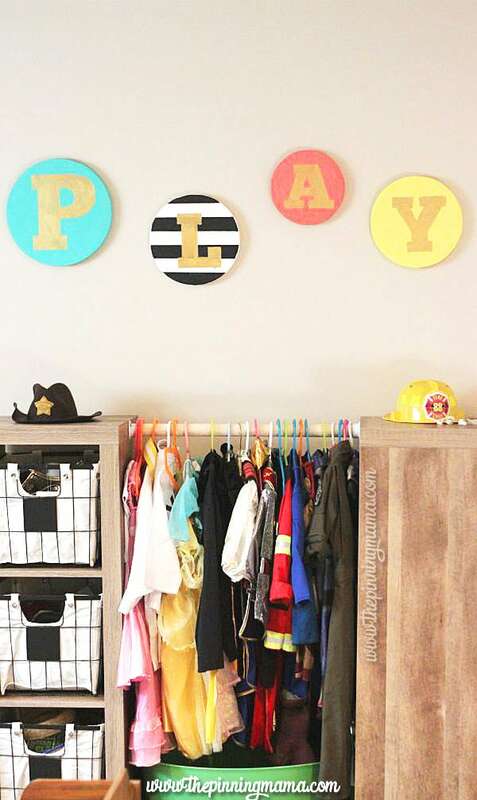 Your child will love their playroom transformations with these fun ideas below. Whether these ideas you do exactly the same or you allow them to give you inspiration for your own design. Give your child a playroom that they will never want to leave! These playroom DIY projects below can help stimulate the child and give them a cozy and playful area to sit down and play in. I hope you enjoy all these DIYs as much as we do! Also, check out these stuffed animal storage ideas if you feel your home is being overrun by stuffed animals! Here is a fun playroom learning tree you might want to do. It is a great way to teach children letters and even numbers in a fun way. Wow, this castle playroom is so much fun! I love how they made a fun space for their kids to play and feel like they changed eras and are able to fight dragons, be a princess and more all in this castle room. If you grew up reading the Little Golden books you will absolutely love this DIY using Little Golden Books to create a banner. It is such a cute way to decorate your space. Create a chalkboard and magnet wall for your child to draw and write on. This can be really fun for kids to have a nice large place to be creative. I can’t get over how cute this foam playroom sign is. With some foam pieces and paint, you can create an adorable and easy decor for your room! I love the fun colors paired together. Learn how to make some storage shelves to help free up floor space for the playroom. A great way to give toys their own personal spot so it gives a more clean appearance. Head over and see some organizational tips and tricks on how to create a functional and clean playroom that can store quite a few toys in it! I love getting ideas to implement in our playroom. You could find a cheap table and with a little paint really add a pop of color into the room and transform the space. I love her idea of the purple it really stands out wonderfully! You could use any color you want, she shares how she completed this playroom colored table. If your little ones owns a lot of matchbox cars, check out this matchbox car storage DIY. Some PVC pipe and some paint, and a few other supplies are all this craft needs. These Read letters are a really fun element to add, it helps your child get encouraged to sit down and grab a book, and offers a style to the room. 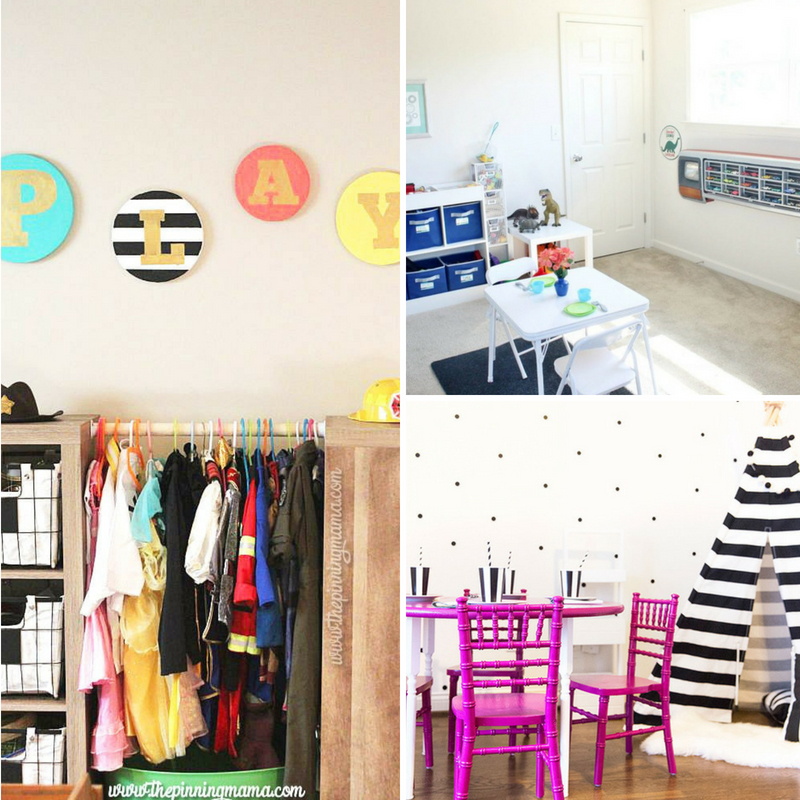 See how this mom completely transformed her playroom in a way that could help stimulate and educate their kids. I love the front grill of car on the wall to store little cars. Check out this unfinished basement playroom idea. I think it is a perfect way to utilize space and give your kids a nice safe play area where they can enjoy and use their imagination. I love this toy inventory idea, where you can really keep track of what you have, and if you have a way to rotate out toys so they are all not crammed in bins, it can really clean up a room. 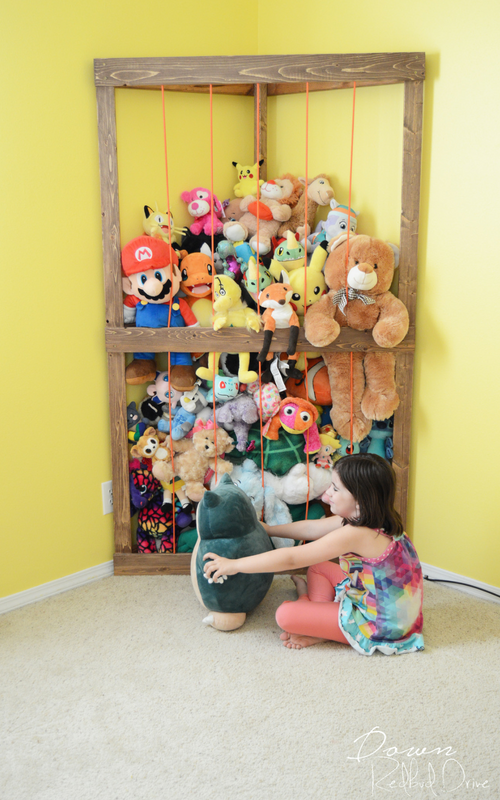 This stuffed animal corner cage is a great way to free up a lot of space, and is a lot of fun to have in the room! Make it as big or little as you see fit for your space. 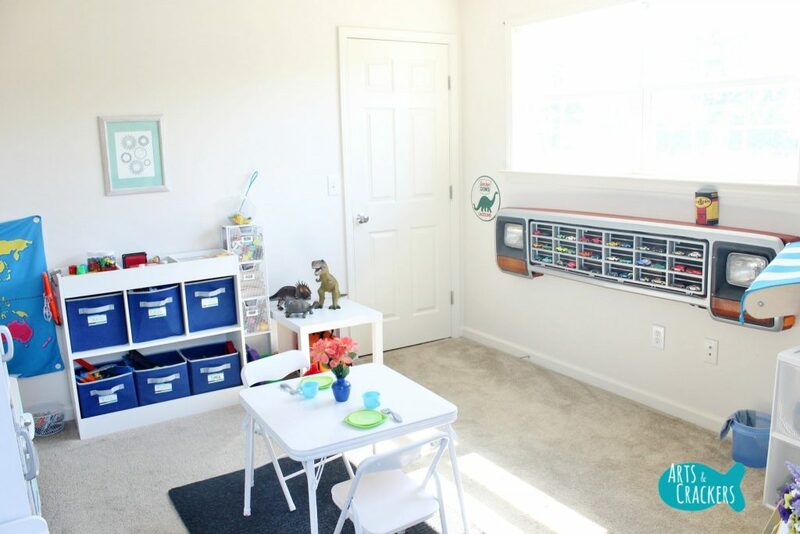 Check out this dinosaur themed playroom that is perfect for any little tike who has a love for dinosaurs. If you love a good DIY like we do, check out these DIY projects anyone can do for your home today! Grab your supplies and let’s get crafting. Does your playroom have a theme going on?